TranslatePress allows you to translate your website content page by page, directly from the front-end. It also supports automatic translation via Google Translate. 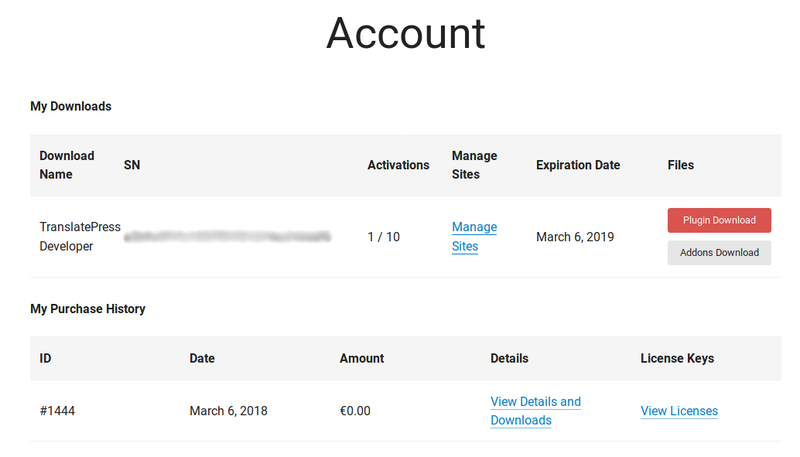 TranslatePress installs and is activated just like any other WordPress plugin. By logging into your TranslatePress Account you will be able to download the main plugin, download add-ons, upgrade to another version, see your serial number, renew your licence if it’s expired and also see your purchase history with us. 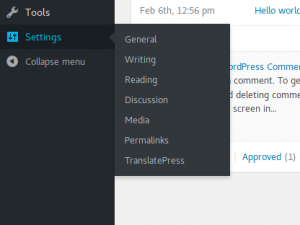 Where is TranslatePress located in the navigation menu ? After the installation and activation, you can find the TranslatePress options page under Settings -> TranslatePress. 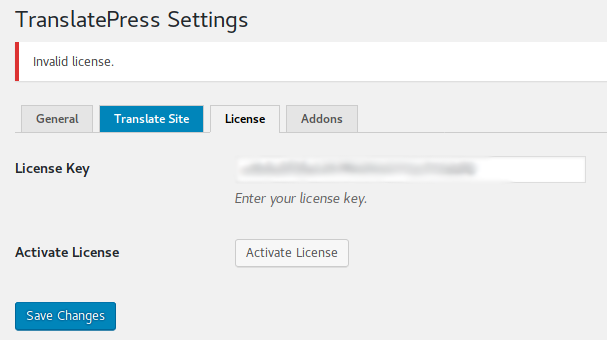 To activate your licence, go to Settings -> TranslatePress and then to the Licence tab. The Licence tab will become available only after installing one of the paid add-ons. Here, you need to enter the serial number you received with your purchase and press Save Changes. After you saved the page, a new button `Activate Licence` will appear.